We are kicking off a week of RISE on the Find What Feels Good Yoga Membership and everyone is invited! Today the mantra is… YES. Yes to Yoga – the union, the unknown – the reality of what is and what feels good. Just a little bit of awareness each day goes a long way. Yes to your yoga practice? Yes to a water with lemon before your coffee? Say yes to your neighbor blasting opera at full volume. Yes to this idea of rising up, rising above and yes to showing up for yourself each day. Write it down – what are you going to say YES to today? Now, I know that there is a time and a place where we need to be able to say NO. But when it comes to the RISE launch and this idea of mindful mornings and how that can bleed into our our everyday. I’m saying YES. I’d like to take part in the morning yoga sessions. did Day 1 this morning and felt amazing! 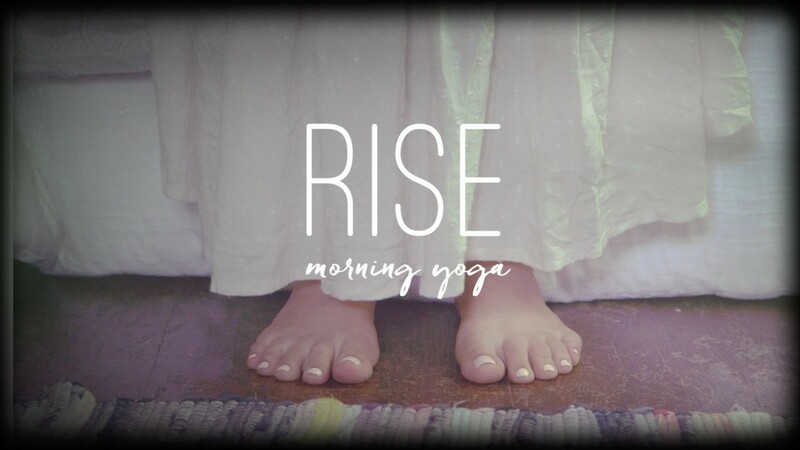 I’m enjoying doing the Rise series and getting on my mat each day in the AM in my PJs! It’s a wonderful way to start the day. Now that I’m reading this, I might even recite or play the song version of this while on my mat. How do you read my mind Adriene?! I have been in an end-of-winter depression funk for two months and I’m so done with that energy. I am saging out the house, banging pots, and now I’m the neighbor playing loud opera. 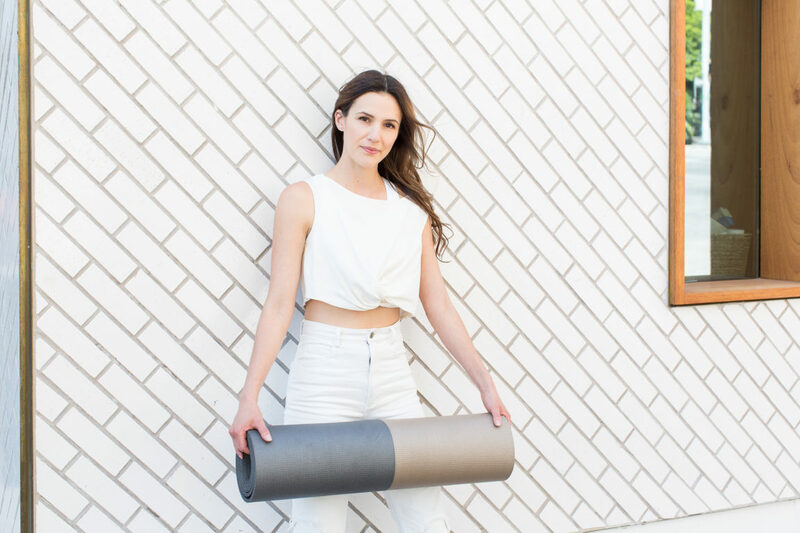 Yes to good juju and renewal and morning yoga! Can you lose weight by just doing yoga every day? Thank you for being my friend and mentor and helping me experience the healing power of yoga.I have been bearing urticaria for past 2 years could you do a video on calming the immune system as well as a video on eye exercises. I love your videos, Adriene, but I have a question – mountain post always makes me super dizzy, so I’m wondering if you have any tips on how to avoid that? I’ve heard that locking your knees can cut off blood flow and cause dizziness, so I keep them just a little bit bent, but it hasn’t really helped. Any ideas? Sami, you are correct that locking your knees can cause dizziness. Be sure that you are not locking out any of your joints when you stand in mountain pose. Make sure you are breathing normally as well. It could be that if you are taking deeper breaths than you are used to when you stand in mountain pose that this might be contributing to the dizziness as well. Try to bend your knees just a little more too and see if these small changes help. Very refreshing to read. Doing yoga every morning is great. The good thing about it is you can do it on a small space in your room. I love the art of breathing, you never understand until you try it by your own. The effects to our overall health is incredibly awesome. It can balance your senses emotionally, that’s the most important to find the inner peace. I had bilateral knee replacements two years ago. I still have “trouble” kneeling–not pain or even physical discomfort. I would name the feeling “distressing.” I really want to start a yoga practice. Almost every video I have watched, involves kneeling. Do you have any suggestions? Maybe you would like to start with the practices on the Seated Yoga playlist and the Hands Free Yoga playlist for options of practicing without kneeling. I have been doing your yoga daily for a few months now and today I did day 1 of TRUE. When you thanked us and said ‘You are my hero’ you actually brought me to tears. I felt a huge surge of emotion being released. I just wanted to share and say thank YOU for your videos and your support. It means so much. Nicely written..Brings hope and inspiration…Thanks for the post!! Worth reading!! I was looking to see if Adrienne had a direct contact but as I figured, I couldnt find that. Hi Sarah, here is a link to Adriene’s wheelchair yoga: https://www.youtube.com/watch?v=FrVE1a2vgvA&t=1s She has a couple of other chair yoga videos as well. If you go to the YWA YouTube channel and type “chair” in the search button, they will pop up! Hi Adriene and thank you so much for your blog and videos! I have a real lack of flexibility (even when I practice almost every day) and I cannot bend and touch the floor at all. My downward dog is also quite bad because it feels so sore just behind my knees. Any idea how I can improve that / adapt the exercises? There is no medical problem, just a lack of flexibility.